Processing Oil & Gas results in many harsh and dangerous chemicals being encountered, for maximum safety and reliability sealless pumps provide the best solution. 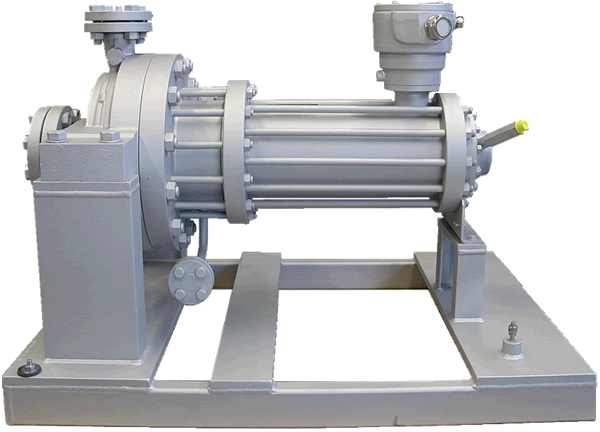 Sealless Pumps also are often the best solution for high temperature and high pressure applications. With models compliant to API685, Renroc Group has specialised in sealless pumps for over 25 years. 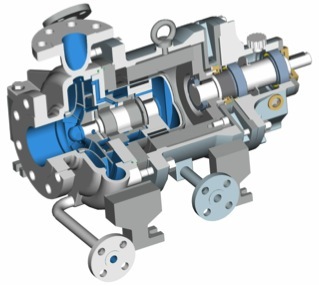 Containing no mechanical seals, these pumps operate leak free and provide the highest availability with mean time between repairs (MTBR) four times greater than mechanical seal pumps. Applications containing high H2S concentrations, high vapour pressure hydrocarbons or as a simpler alternative to dual mechanical seals, there are numerous applications where sealless pumps give the best through life pumping performance. Sealless pumps come in two technologies, magnetic drive and canned motor. Renroc Group is proud to offer both technologies from leading manufacturers. Incorporating designs up to 690kW. Designs available both Canned Motor and Magnetic Drive. Contact Renroc Group to discuss the best technology for your application.